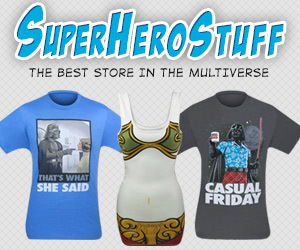 I’ve always thought that if I had to have a big wedding, it should be a theme wedding of some sort. 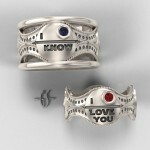 If I can find a woman that would go for it, I would love to have a Klingon wedding. 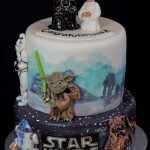 Although, after seeing the Star Wars themed wedding below, I could probably be persuaded to go with a Star Wars theme. 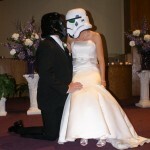 I would do mine a little different though in that Darth Vader would be the one presiding over my wedding. Anyway, below is a picture from the wedding of Dale and Nadia in Australia. 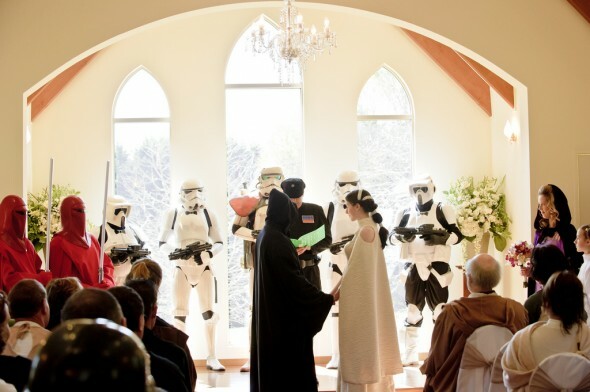 Not only were those involved in the wedding dressed up, but apparently there were even some Jawas among the guests as well as other Star Wars characters. R2-D2 was even the ring bearer apparently! 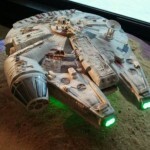 Hit up the source link below for more details and a ton of pictures including a Jabba the Hutt cake!